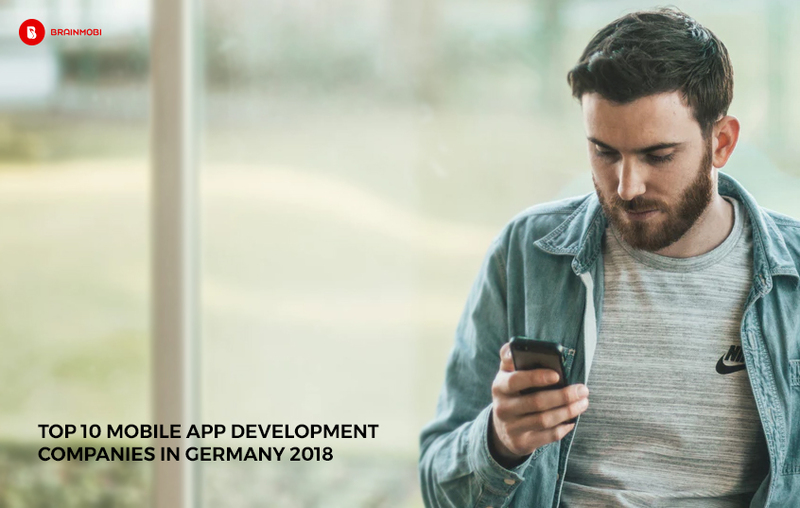 Being a hotbed for innovations in the field of scientific research, automobiles, Industries, and electronic music it should be no mistake to assume that Germany also has a well-established brand value when it comes to software and mobile app development. Adapted to agile software development process and providing other services like Business Development and Marketing Whalla Labs is responsible for developing precise mobile and web apps for Android, iOS, Windows Common and Wearables. They have a well-equipped team of professionals in each platform along with experienced team leaders who make great efforts in understanding the customer’s requirements and developing the perfect product for them. Responsible for delivering some of the best cross-platform services for clients from the US and DACH, Codete also assists in consulting and full stack development of great standards. The look to hire and work with experienced professionals who work as a unit when it comes to channelizing testing strategies and Quality Assurance factors. Specializing in cross-platform projects as well as strict native modules, BrainMobi helps entrepreneurial business ideas by giving them the perfect app to suit their purpose. With a well-equipped team of developers working at offices in India, USA, Qatar, and Germany the organization has spent a great time in this exercise and can provide to you smartest approach to your project. This also makes it one of the top mobile app development company in Asia besides Germany and Europe. With a strong reputation for backend support, this is the company if you are looking forward for strong native mobile applications for Android and iOS platforms separately. The team consists a strong base of digital designers, developers, managers and analysts who maintain a good journal of all their work. As heard from many clients, fingers has a smooth navigation of workflow acquired via an in-house set of rules. Along with a team of qualified developers Pocketweb also has a team of market specialists who help clients from various industries create future mobile services. Along with Mobile Designers and developers, Pocketweb Ltd has a committed team of project developers who take responsibility of. They are always revered for offering high potential designs and Project Managers. 9elements is an app development company in Germany that is reputed for linking cutting edge apps with a beautiful and functional design. Besides creating custom software solutions for web and mobile 9elements also specializes in designing intuitive interface for better user experience. They have contributed to many domestic clients and have helped in various industries exclusive to Germany. Intellias is a web and app development company with many offices spread in major regions of Europe. Intellias have undertaken many complicated projects related to big data and structuring and are known to give fast solutions to complex designs and functionalities. They also keep the business factor a priority and offer great commitment in making their clients a growing leader of their respective market. Hyperlink Info System is a mobile app development company that has taken various global projects. Consumer brands like Telecom, Healthcare, Transport and Travel have been a constant consumer of their services which include usability, development and design. They have a great control over almost every platform and have had a good routine in practice for developing Mobile Apps from almost every industry. Equipped with around 150 employees in offices located in Frankfurt, Seville and Geneva Cocomore specializes greatly in the field of communication and technology or any product that prioritizes those fields. Mobile-first advertising and other digital media services are other specific strengths of Cocomore and serves the purpose of knowing a mobile consumer at its best. Instinctools provide a dedicated team of professionals equipped in all major frameworks ready to engage in developing ready to join software and corresponding development processes. They provide some excellent consulting services and have always helped budding entrepreneurs to take major decisions in mobile planning, execution and in time development. Hope you find this article useful and we hope you are able to take the next immediate step towards your mobile app. If you are looking for more insights or knowledge in this field, kindly connect with us on her blog or write us an email at sales@brainmobi.com. Very useful information.Please keep updating on this for Top Mobile App Development Companies. Thanks for sharing. Thanks for sharing the information.Very useful for our firm because we always prefer to look for companies who work in mobile app development companies in Germany. we also have a list of companies who are working in this field and more companies can join us just visiting our website https://www.topxlisting.com/de/mobile-app-development-companies-germany/.